Saturday, October 28: Finalize your guest list. Check with friends and family and figure out how many people will be attending. Once you have this number, then you can determine how much food and drink you’ll need to buy! Sunday, October 29: Clean out your freezer. This is a good time to eat those frozen leftovers and toss that freezer burned vanilla ice cream. You’ll need as much freezer space as you can get. Wednesday, November 1: Plan your menu. Three weeks should be enough time to have an epic menu all worked. If you’re searching for ideas, we’ve got a few. But whatever you decide, don’t forget to check out these tips to make sure you’re meal goes off without a hitch. Thursday, November 2: Check your equipment. Do you have a good roasting pan? Enough baking dishes? A reliable thermometer? Here are our essential tools for this year’s Thanksgiving. Friday, November 3: Order your turkey. A flawless Thanksgiving begins with a high-quality bird. Here are our tips on what type, how big and where to order to make sure that you buy a good one. Saturday, November 4: Make your grocery list and do your first round of shopping. Organize your list by grocery store sections (produce, dairy, dry goods) or by shop (bakery, butcher, farmer’s market) to make your trip extra-efficient. Then go pick up all of your non-perishables (flour, canned pumpkin, bread crumbs, etc.) and what you’ll need to make your turkey stock, gravy and pie crusts (see next steps). TIP: Don’t forget to stock up on resealable plastic bags and take-out containers for leftovers. Sunday, November 5: Make your turkey stock and gravy. 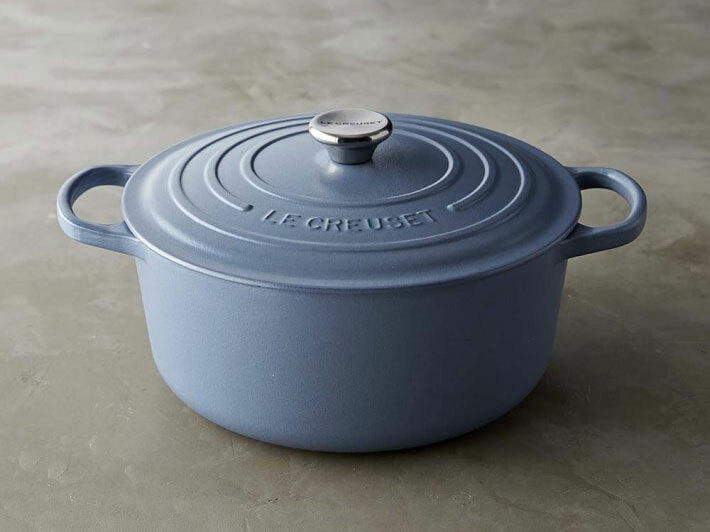 No one wants to be whisking their gravy over a hot stove, waiting for it to thicken while hungry guests peer over your shoulder. Do yourself a favor and make your gravy when you make your homemade stock. Ask your butcher for turkey pieces like wings, backs and necks and make this deeply flavorful Turkey Stock and super-silky make-ahead Turkey Gravy from Anthony Bourdain. Just be sure to save enough stock for stuffing and soups. TIP: Bulky plastic containers take up a lot of space. Try pouring your stock and gravy into heavy duty resealable plastic bags and lay them flat in your freezer. Saturday, November 11: Make your pie crust. This Flaky Pie Crust recipe uses a mix of butter and lard and will give you flawless results. After making the dough, divide into disks and wrap very well with plastic. You can also use this DIY vacuum seal method to prevent any drying out or weird odors from your freezer permeating the dough. Sunday, November 12: Plan your table décor. Setting a beautiful table doesn’t have to be hard. Follow these easy tips for the freshest linens, and most elegant tablescapes and centerpieces. Monday, November 13: Shop for beer and wine. Here’s our list of the best varietals to pair with your Thanksgiving dinner. Wednesday, November 15: Clean out your fridge. You’ll need the space in preparation for the week of cooking ahead. Saturday, November 18: Make copies of your recipes. If you’re using recipes from a magazine (you know, any magazine) or a cookbook, copy them so you don’t have to keep flipping between pages and balancing a big book next to the stove. Then, study up. You don’t want to get half-way through your prep and then realize something needs to cool overnight. TIP: Shuffling papers while your hands are covered in turkey juices is gross and no fun. Tape the recipes up on your kitchen cabinets for easy viewing (and finding). Sunday, November 19: Pick up your turkey and perishable items. This is also a good time to make sure you’re ready for the day after Thanksgiving. Pick up all the fixings you’ll need for that epic leftover sandwich: good sliced bread, your favorite mayo, lettuce, some aged cheddar. Defrost your turkey (if frozen) and your frozen prepped items (stock, gravy, pie crust) in the refrigerator. This is the best way to gently, and safely, thaw your turkey so as to give it ample time to defrost (at least 24 to 36 hours). If you’re in a panic and it’s time to prep your bird, but it hasn’t thawed, let it sit wrapped and fully submerged in cold water. Change the water every 30 minutes. Make your brine. 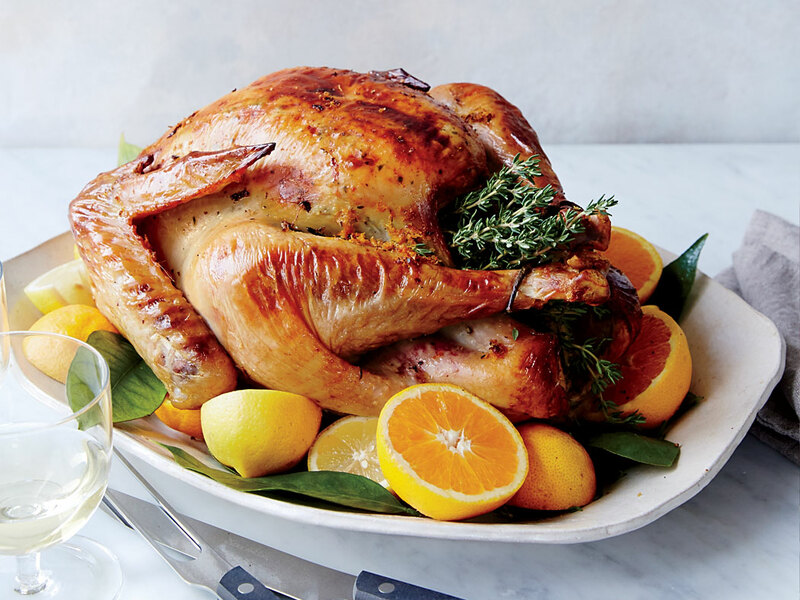 Do this well in advance so that it has time to chill before you add your turkey. Be sure to use a pot that has enough remaining room for the bird and will fit in your fridge. Here are five brines to try on your turkey this year. Lay out your platters and baking dishes. Label each dish with which food will be going in or on it. If you can, do this where your buffet will be to make sure everything fits. Tuesday, November 21: Prep and chill. Pick up the items for your centerpiece (flowers, gourds, fruit, etc..). Chill the wine and beer. If you’re lucky and live in a cold place, the garage or a covered porch are ideal for this – just make sure it’s not below freezing out! Start prepping your side dishes and desserts. Wash and dry the lettuce for your salad, make your vinaigrette, roast and purée the pumpkin for your pie (if doing it from scratch), sauté the vegetables for your stuffing, stamp out your biscuits and store them in the freezer. The more you can get done today, the easier your next 48 hours will be. TIP: Save your vegetable scraps (onion peels, carrot greens, turnip butts, herb stems, etc..) and toss them in a large resealable plastic bag. Put this bag in your freezer and use it to make stock with the leftover turkey bones. Wednesday, November 22: Clean and do some final make ahead prep. Finish your make ahead sides. Assemble your stuffing, make your soup, mix your corn pudding – you can even make your mashed potatoes. Check out these six recipes for super-creamy make-ahead mashed potatoes. Clean your house. If you can, hire a cleaning service in advance, or put your loving family to work. Save the kitchen for last and don’t forget to run your dishwasher. Set your table and buffet. Pour yourself a glass of wine (you deserve it) and make your arrangements and lay out table runners, napkins, silverware, candles and place cards. You’ve done hard work of planning and now it’s time to make sure it pays off. Here, we’ve got a time-stamped breakdown of when you need to do everything from take the turkey out of the fridge, to light the candles, to reheat the gravy. Sleep in and take the day off (we’re thinking Game of Thrones marathon, epic turkey sandwich and a nap on the couch). For dinner, try one of these 17 creative ways to repurpose those coveted leftovers.